Anyone who lives with deadlines knows, when the moment arrives when you have to finish something up- in your haste to get it done, you make mistakes. The writer for this was in that exact same situation I bet cuz this was not a well thought out ending. This is not the finale we deserved after going through everything with these characters. The fans of this show deserved better and I echo everyone’s dissatisfaction. I don’t mind if she planned this ending from day one-if that is the case, I can overlook it. But she clearly did not cuz if you watch last night’s flashback scene where young Y is kidnapped, there is no way that girl is five years old. The lack of detail about what really happened to Y when she was five is amateur hour. Plus, in a crowded bus stop like that, there is no way a kid can be taken without the kid throwing a fit and being heard or seen by someone. Everything that should have played out in two episodes was thrown together to cram into one and it showed. If you are going to throw in that fact about Y being a sibling, you give it the due attention it deserves and not rush it. Even J’s mom’s reaction to her new found daughter was awkward. I used to think that episode when MG was kidnapped in MSOAN was the worst a drama could ever get near the end of a series, but I was wrong. 49 Days is a close second and the sad thing is -it never had to be. It always had the potential to be so much more. I think we have to keep our faith that the writer won’t fail us now. They have always surprised us, but always in a good way so let’s be optimistic about the finale tm night. With hours to spare, she gets her tears. I think it is safe to bet where they came from. Now the heart stopper is what is going to happen with Y next week. I already cried tonight when J was getting those tears, so I can’t imagine how much more if anything bad happens to Y. I swear she better make it thru this drama or I’m gonna be cursing up a storm for weeks. Highkick was a practice run and this one is going to be worse cuz I love this drama. As I was translating, I realized how crazy all this sounds- needing tears to come back alive, spirit/ghost borrowing a living person’s body, etc. All this time, I didnt stop to dwell on it cuz I was too caught up in the storyline. But today, I had a more disturbing thought: it doesnt sound that crazy anymore. I want more of the impossible. I want J to get her two more tears and live happily after with H. I want M and IJ to be miserable together. But the craziest of them all, I want S to be reunited with Y without her having to die. 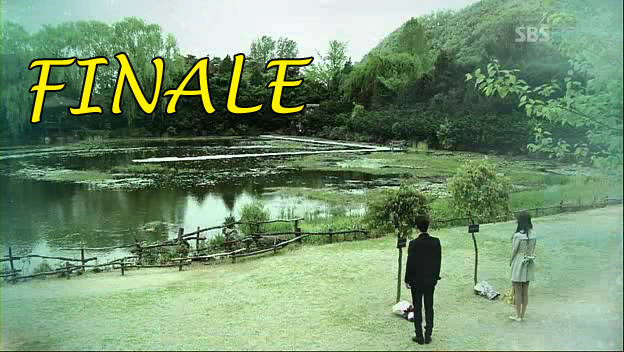 Yes, I realize that is an insane wish, but this drama made me hope and believe that could happen. If not, at least let her finally know the truth about how he was going to propose and make her stop being so cynical about love and maybe move on. There was a declaration of love I missed during the live recap. It was when Y/J told S that she loves H. That got me thinking. Since this drama has a surprising lack of kiss scenes (forehead kisses don’t count), if S won’t even let Y/J hit Y’s head, will he allow Y/J to kiss H? Will there be another penalty for that I wonder. I can’t help it, but I rather see a kiss scene between S and Y or Y/J and H. It seems weird for J and H to have one when they barely had any scenes together except for flashbacks. Everyone else is keeping track of tears and where the next two will come from, but all I care about is -when is there going to be a kiss scene? Never dreamed it was possible, but I like 3 very different dramas right now. 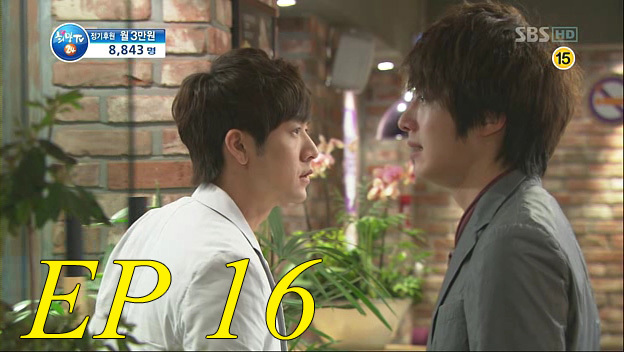 I love 49 days cuz I am eager to see what unfolds every episode. With CYHMH, I find peace and comfort from it -never fails to move me. BL gives me humor mixed with a dash of heart and it has enraptured me just from the first two episodes. Wow this drama just gets better and better. Just when you think you can relax, emotional S shows up. OMG JIW was amazing tonight.